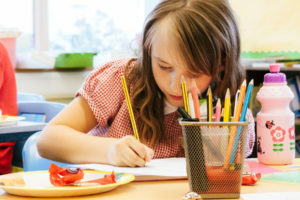 Many factors may contribute to a child struggling to keep pace with reading and writing, one of these may be the time needed at home to regularly practice what has been taught in school. 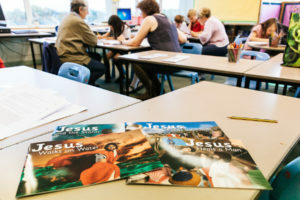 Bibleworld Books provides a Bible-based reading resource to enable church volunteers to get alongside each child to help build confidence in their reading skills, while having fun exploring Bible stories. The resource is intended to be used within the first level of the curriculum (P2, 3, 4). However, this is merely a suggestion and children of a variety of ages may benefit from the resource. 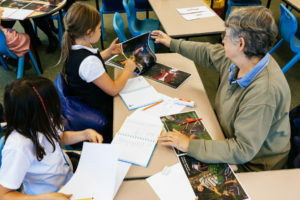 Run as a book club it can be held weekly after school or lunch time and has been designed to fit around school term times. 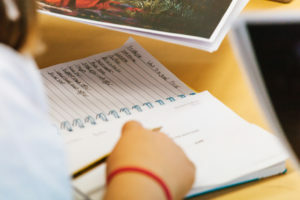 However, you can take this resource and fit it in to a variety of contexts which will work for you and the children you are spending time with. What do churches and groups need to have? A willingness to build a partnership with local schools. Volunteers who enjoy spending time with children and are keen to help children explore the Bible together. Someone who is happy to act as coordinator for the group (this does not need to be a qualified teacher but skills and experience in children’s ministry/ work is essential). The ability to recruit a team of volunteers who have been, or are willing to be, PVG checked. An idea of where to hold the group – this could be in the school, the church building or another community facility. 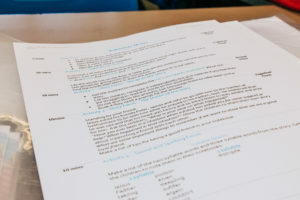 Each book has session outlines written and created for church volunteers to use within a book club format. The sessions provide a learning experience including fun activities, games, crafts and times of reflection all centered around the story time which happens in small groups. Each session contains the following “Zones”, the content of each zone links to the book that you are using in that session. This short section is to help you engage with the Bible story yourself, before you spend time with the children in your group. This is to ensure that each child is welcomed by name, “signs” in to the group, and is introduced to their small group leader. 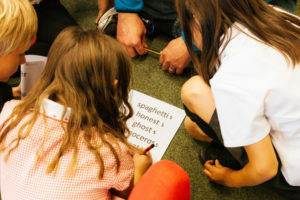 The opening activity helps children settle in or catch up with their group leader and enjoy a snack together while doing an activity that helps them work together as a group and introduces the theme of the book. This is a fun game to get everyone moving about, while ensuring no one is excluded, and is also the time to introduce and reinforce the suggested club rules. This is where the children read the story together in their small team/group, there is less variety of activities suggested for this zone in order to create some traditions for the children as they read the books. 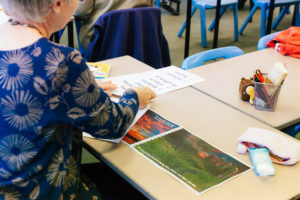 This is sometimes a craft but creativity is more than crafts so there are also opportunities for construction, games, painting, drama and photography as you explore the story further. Bibleworld Books uses a system called Phonics, which is used to describe the SOUND of words and the sound of the letters within the word. This zone gives activities around spelling and sounds using the books as the source for these. This is a place to stop and look back on all the things you have done together in the group, and spend some time thinking what it was all about.